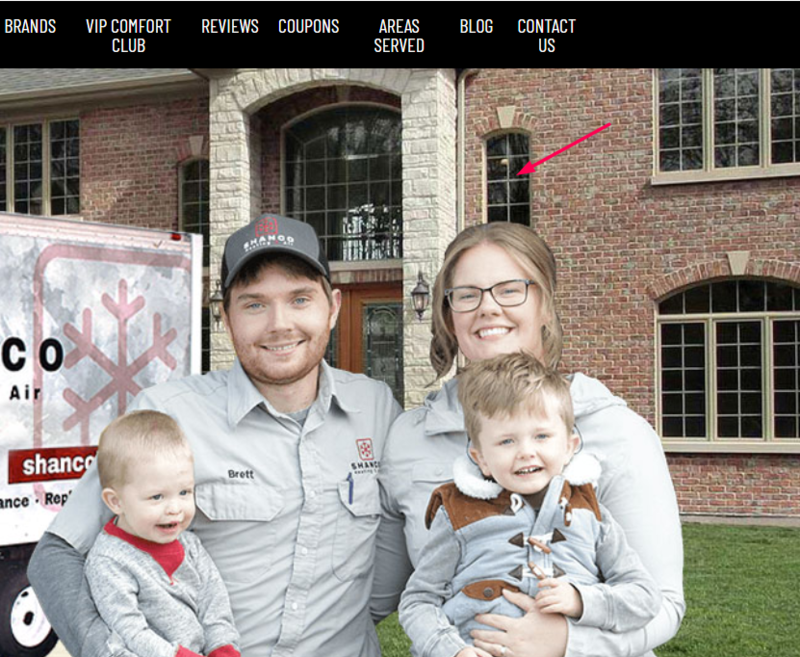 Does Your HVAC Website Convert? Every high conversion website has a clear and convincing call to action. There are too many websites that simply don’t have their basic information listed on the header and footer of their homepage. Every visitor should know who you are, where you are, and what you do. Those three things are non-negotiable. It is not enough however to simply list a phone number. The text must be sized correctly so that users can easily see it. You want the phone number to be big and in the face of the prospective customer. You also want the phone number to be clickable on mobile devices by integrating click-to-call functionality. This way, mobile users can become leads with a simple click making it more convenient than ever to generate new clients online. An underrated factor in website conversion rates is personalization. What do we mean by that? Have you ever been to an HVAC website that has stock photos or low quality photos? These kinds of images may currently be on your website. What you may not have considered is how a lack of personalization can impact conversions. Visitors who see personable contractors are more likely to call than those who see stock photos or images of angry-looking HVAC employees. This concept is more rooted in traditional marketing than digital marketing but the two merge in this instance. Consumers who have a level of comfort with the business are going to be more likely to engage with them which manifests itself in the form online leads for HVAC. We mentioned earlier in this post that most failing websites don’t have a conversion problem as much as an SEO problem. But the reality is that these two things are inherently connected. Google ranks websites at least partially based on how users behave on them. To put it more simply, if your website is poorly designed and lacks clear calls to action, it is unlikely to rank well in the first place. You cannot convert visitors you don’t have. Conversely, converting the visitors you do have will often lead to an even higher ranking because the same principles that foster conversions also signal to Google that your website is worth moving up on search results. HVAC Webmasters provides digital marketing services for contractors across the United States. We optimize sites for search ranking and conversions while implementing your company photos and offering three logo revisions (if necessary) to improve presentation.